Spray a muffin tin with cooking oil. 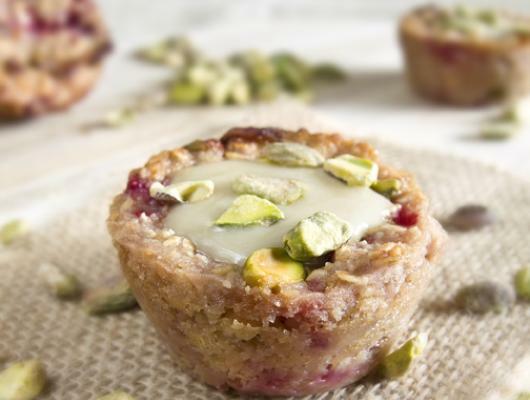 Fill the tin to the top with oats. It should make about six oatmeal cakes. Bake uncovered for 20 minutes. For a light crust, broil for an additional 3-5 minutes until lightly browned. Serve on it’s own or with fresh fruit, yogurt, or milk. 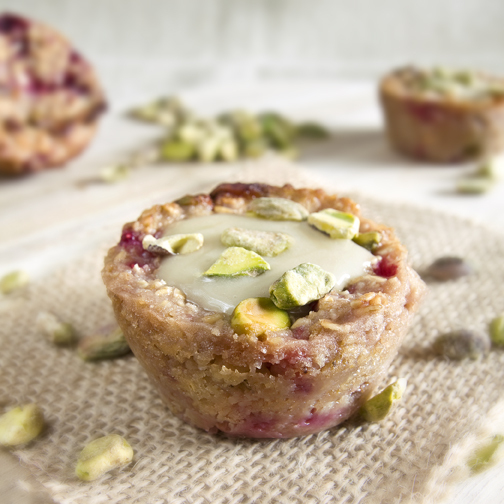 Healthy mini baked oatmeal cakes made with wildflower honey, raspberries and pistachios. An easy on the go breakfast.